When you eat pie, do you prefer the filling, or the crust? If you are like me and prefer the filling, a gallete if the perfect summer dessert for you. With a pie, the fruit filling is sandwiched between a top and bottom and bottom layer of crust. With a galette, you only have a bottom layer of crust with a little bit on the sides. A little warning about transporting a galette: don’t travel with it uncovered. Here is what the galette looked like when I put it in my passenger seat before the 15 minute drive from Sally’s place to my house. The scale of the image may be deceiving. Keep in mind that this galette is the size of a full pie and is meant to serve 8 people. Here is what it looked like when I arrived at my place. I blame it on the stoplights. At the first stop light that I hit, I decided to try one of the nectarine slices. That lead to another sampling. At the next stoplight, I figured that if I had tried the filling, I needed to give the crust a try. At another stoplight, I tried the filling and the crust together. 15minutes later, I arrived home with about a third of the galette missing. Yes, I did eat a little over 2 servings of the galette. If you are planning on doing any summer entertaining this weekend, I suggest serving a galette to end your meal. A warning though, If you travel with an uncovered galette, you may arrive at your destination with only a portion of your galette. 1. To make the pastry, put the flour, brown sugar and salt into the work bowl of a food processor. Pulse to mix the ingredients. Cut the cold butter into 8 pieces and add to the flour mixture. Pulse the processor until the butter is cut into the flour mixture. In a small bowl put 1 egg, the milk and the vanilla. Mix with a fork to blend. Add the egg mixture to the flour and butter mixture. Pulse the processor until a dough forms. Remove the dough from the processor, wrap in plastic wrap and chill for one hour or overnight. 2. When ready to make the galette, preheat the oven to 375 degrees. In a large bowl add the nectarine slices. Cover the slices with 3 Tablespoons of flour, granulated sugar and a pinch of salt. 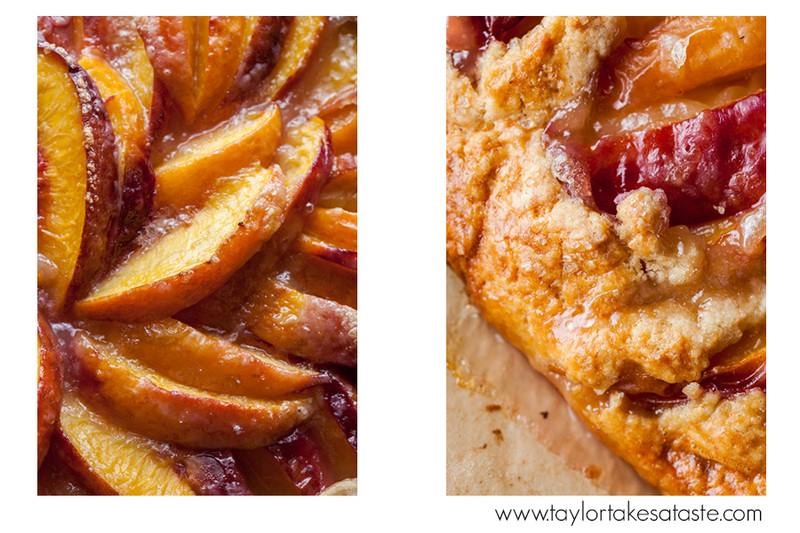 Toss the nectarines until each slice is coated with the flour and sugar mixture. Set aside. 3. Remove the chilled dough from the refrigerator. Cover a baking sheet with a sheet of parchment paper. Sprinkle a work surface with flour. Roll the dough out into a circle about 1/8 inches thick. Transfer the dough to the parchment lined baking sheet. 4. To assemble the galette, lay the nectarine slices in a concentric circle on top of the dough, leaving a 2 inch border of exposed dough around the perimeter of the the dough. 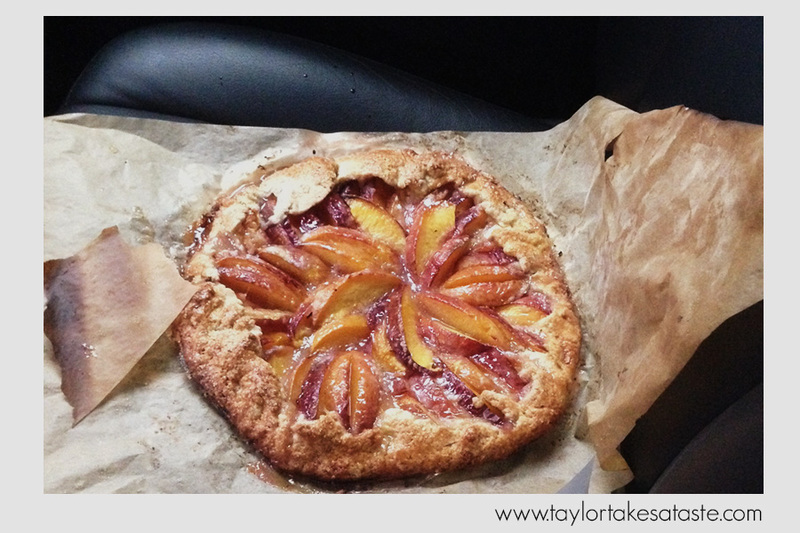 Fold the outer edges of dough up and over the outside of the nectarine circle. In a small bowl beat the remaining egg with a fork. 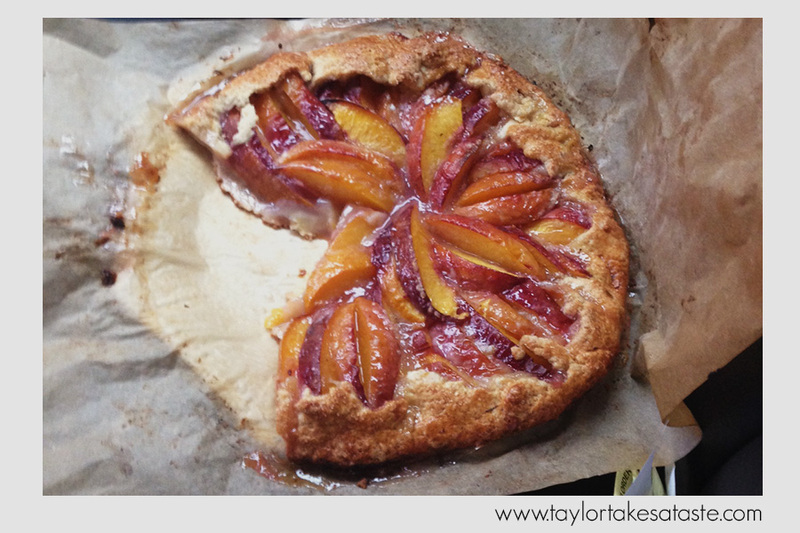 Brush the exposed dough with the egg wash. Sprinkle the dough and nectarines with the demerara sugar. Bake the galette 45 to 50 minutes or until the juices bubble and the crust is golden brown. Remove the tart from the oven and let the galette cool for 20 minutes. 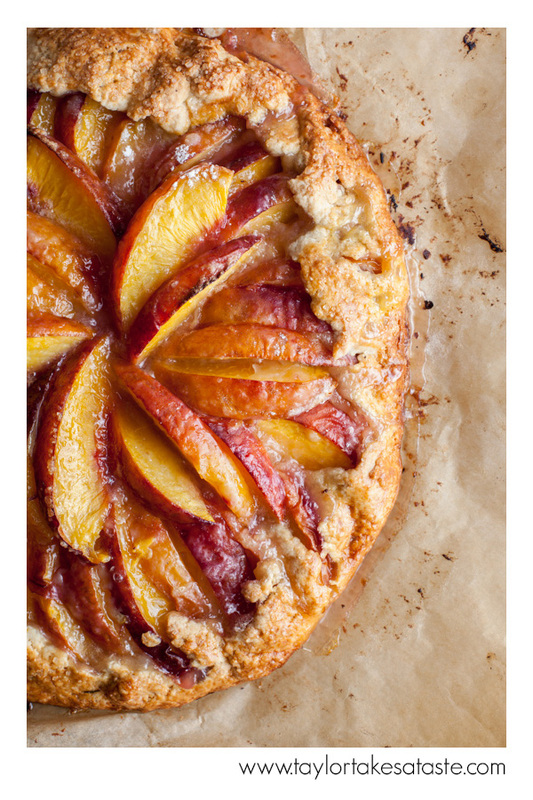 Serve the Nectarine Galette warm or at room temperature. 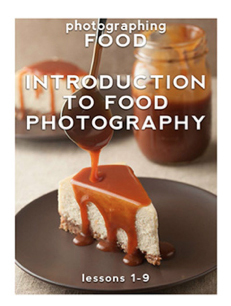 This is making my mouth water…yum!